Juan Ignacio Sánchez Pérez lives San José Iturbide, Guanajuato, Mexico. Since he can remember Juan has been drawing and painting, it has always been his favorite pastime. In 2013 he began to make Madonnaris, it has been one of the artistic expressions that Juan likes the most since it has allowed him to know many places and people who share his passion. He has given painting and drawing workshops to children in rural areas, the best way he has found to continue learning has been to share what he knows. 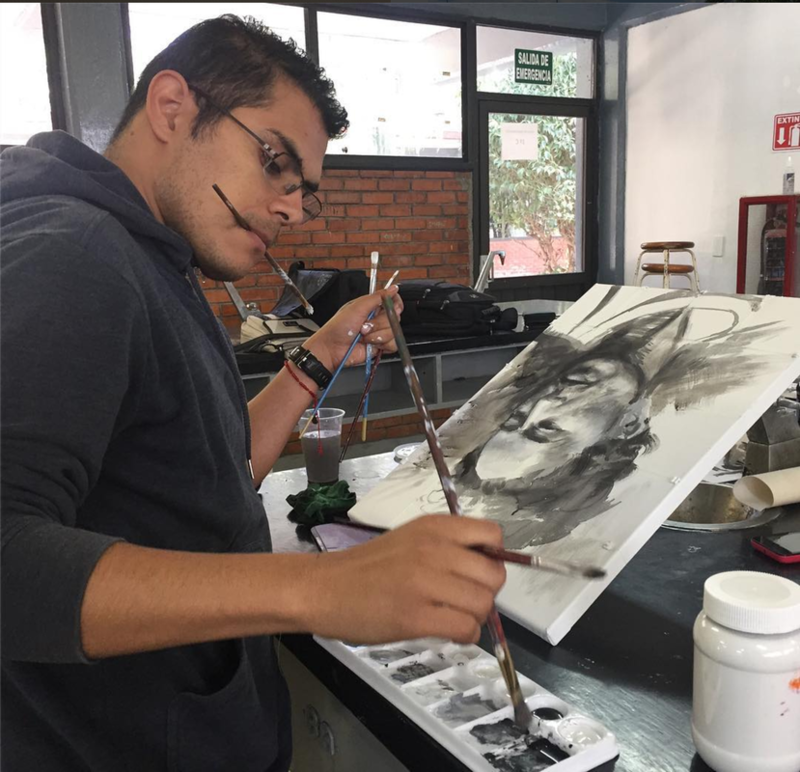 He currently works as an illustrator in a local newspaper and teaches drawing, painting, mathematics and chemistry classes in two schools, where he work mainly with young people.